On May 21st, 1907, one hundred men left the Island of St Helena aboard the RMS Galician Castle, bound for Port Nolloth and Concordia beyond, to take up employment in the copper mines. Mining Memory, shot in and around Concordia, with flashbacks to the island and the ocean, is a meditation on this journey and on the presence of St Helena in Namaqualand today. 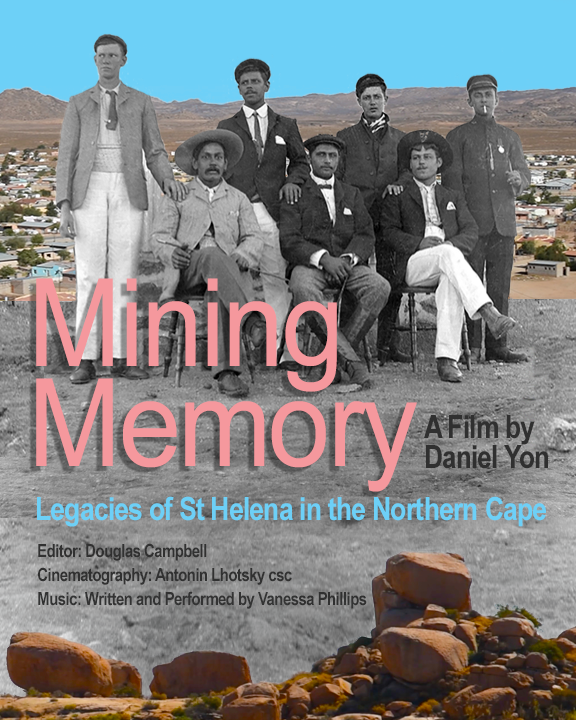 Fragmented inherited memory of St Helena are interwoven with the mining remains on the landscape such that mining memory is also a meditation on the social and ecological legacy of copper mining in Concordia and beyond.